January 2016: Speak up for sustainable roads in the Methow Valley! In December 2016, the U.S. Forest Service (USFS) released travel analysis reports that assess existing road systems and identify opportunities to achieve a more sustainable system of roads for each national forest in the Pacific Northwest. As part of a national travel management process, the Forest Service is working to achieve a financially and ecologically sustainable road system that meets access needs, limits environmental impacts, and is affordable. The reports are not decision documents—instead, they provide an analysis of existing forest road systems. All future proposed actions and decisions will involve additional public input and review at the project level, according to guidance issued by Regional Forester Jim Peña to all national forests. The reports will inform future decisions on where and how to invest limited resources on building new roads, managing current roads, or decommissioning old roads. In Washington and Oregon there are more than 90,000 miles of USFS roads. The Okanogan-Wenatchee National Forest alone has 7,948 miles of forest roads, while the Mount Baker-Snoqualmie National Forest has 2,440 miles. The USFS currently has funding to maintain only a very small fraction of this road system. According to the agency, backlog maintenance projects top $1.2 billion, and funds available for road maintenance each year are only about 15 percent of what is needed to fully maintain the current road system. The reports do not address how the Forest Service will maintain or mitigate the roads it wants to keep. In their report, the Forest Service determined that it needed almost 90 percent (79,000 miles) of its roads. This leaves as many as three-quarters (~68,000 miles) of forest roads across the region without funding for necessary maintenance. Here in the Washington’s Cascades, the same problem is evident. The Okanogan-Wenatchee National Forest determined they need 75% of their road network. This leaves up to two thirds of the Forest’s roads, over 6,000 road miles, without adequate maintenance or plans for decommissioning or otherwise addressing ecological and safety threats. Similarly, the Mount Baker-Snoqualmie National Forest determined it needs nearly 70% of its roads, leaving as many as half the Forest’s roads without maintenance or plans to address ecological impacts. The Forest identified nearly 800 miles of roads that could be decommissioned, closed, or converted to trails. Across the Pacific Northwest, extensive and poorly maintained forest roads, most hastily built by private companies during the logging and resource extraction heyday, are causing ecological harm to threatened fish and wildlife as well as dangerous conditions for motorists. In the case of MBSNF, nearly 41 percent of the forest road system is causing medium or high resource concerns. “We wouldn’t allow a dump truck to regularly drop loads of dirt into spawning grounds for Endangered Species Act-listed salmon, trout and steelhead. Yet that’s the equivalent of what’s happening on a regular basis in our national forests when roads aren’t taken care of,” says Jen Watkins, Conservation Northwest’s Forest Field specialist working on road decommissioning and forest restoration. “Rainwater routinely washes sediment from unmaintained roads into streams. Roads collapse in big storms. Both destroy critical habitat and bury eggs vital for the recovery of our region’s iconic wild fish.” says Watkins. Excessive forest roads and a lack of roadless habitat also harm Northwest wildlife species such as elk, which need undisturbed roadless areas for calving. When forest roads, bridges and culverts are washed out in storms or are poorly maintained, the resulting road conditions can also be dangerous for motorists, forest employees and emergency responders. Through a variety of processes, national forests have worked closely with the public and stakeholder groups to collect information and feedback about social, economic, and ecological concerns and impacts around forest road systems. “Ideally, with ample public input and research on ecological impacts, we can preserve forest roads that provide access to trailheads, boat launches, fishing and hunting spots, and other outdoor recreation opportunities, as well as roads that provide routes used for fire response, commercial activities and by the many folks that enjoy drives through our scenic national forests,” says Chase Gunnell, Communications Director for Conservation Northwest. 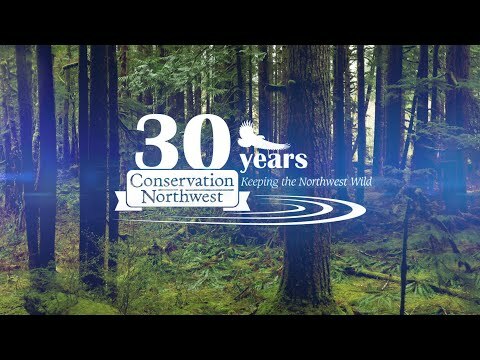 Conservation Northwest is a member of the Washington Watershed Restoration Initiative, a coalition that helped lead the effort to establish federal policy that required these analyses in addition to Travel Plan Maps to clearly indicate where motorized use is allowed on each national forest. Additionally, this initiative helped to create the Legacy Roads and Trails Program aimed at directing federal funding towards urgently needed road decommissioning, road and trail repair and maintenance, and removal of fish passage barriers. This week Congress funded the Legacy Roads and Trails Program at $40 million in the final FY 2016 omnibus appropriations bill, ensuring that funding is there to meet the need for road restoration outlined by the Forest Service in these travel analyses. These reports are not a decision, but rather an overview of the state of our national forest roads system. They are meant to start a dialogue that leads to action to create a more manageable road system that meets this century’s needs, including public access to the outdoors, healthy forests, and abundant fish and wildlife.